Terry likes tinkering with things—designs, tooling, and fixtures for road and mountain bikes, and of course, blades. A mechanical designer and artist at heart, he worked in the bicycle industry for thirty years. He always had a fascination with edged objects and moonlighted with fabricating new and different locking mechanisms for folding knives. 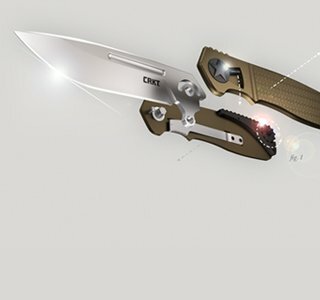 In 2006 he went to full-time knifemaker status and was awarded Best New Knifemaker at the Blade Show. Terry’s a current member and a former three-term President of the Florida Knifemakers’ Association.